Certification accredited by National Qualifications Authority recognized in Romania and throughout the European Union. Bachelor’s degree, accredited in the United Kingdom and worldwide recognized. Accepted for Master studies in EU without additional credits and in the United States – according to the admission policy regarding European degrees of each American university. 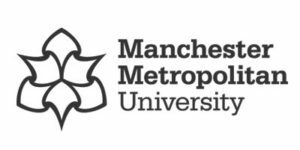 Manchester Metropolitan University is an institution accredited in the United Kingdom and recognized in Romania. If a student wishes to obtain the Romanian equivalent of their Manchester Metropolitan University degree, they may do so by filing an application with the National Center of Recognition and Equivalence of Degrees within the Romanian Ministry of Education. Dating back to 1824, Manchester Metropolitan University is one of the largest and most popular universities in the UK. We have over 36,000 undergraduate and postgraduate students, including a diverse community of 3,000 international students from 120 countries. BA (Hons) Culinary Business Management is offered at our campus in Brasov, Romania, as part of an academic partnership between the TASTE – Culinary Business Academy and Manchester Metropolitan University. As a Collaborative Partner, in order to deliver these programs in its campus, TASTE Culinary Business Academy began in February 2017 an extensive validation program. This is a continuous process that takes place as long as TASTE Culinary Business Academy is an active partner and is intended to ensure a high standard of academic quality in the school. These standards are periodically evaluated based on overall levels pre-set for higher education institutions in United Kingdom.